Bushrod Family History (currently covering African American patriarchs... please check back for European ancestry). The Bushrod name originated in the New Forest, which borders between Hampshire & Dorset, England. The New Forest was planted a little over 900 years ago by William the Conqueror to provide wood to build a navy to defend his recently acquired land. The Bushrod name is derived from the men who planted and tended the young trees. The first known Bushrod came to America in 1623, from Dorchester, Dorset County, England. Richard Bushrod, an influential Dorchester merchant and bailiff, made a voyage to New England on a fishing and discover expedition. He returned home and based on his voyage decided to send his eldest son, Thomas Bushrod to America to seek his fortune. Thomas arrived in 1635 and his youngest brother Richard Bushrod followed some years later. It was through the descendants of Richard Bushrod that the African American Bushrods have been traced. Richard's son, Colonel John Bushrod (I) bought the Bushfield Plantation on the Potomac River and Nomini Creek, in Westmoreland County, Virginia. John Bushrod I willed the Bushfield Plantation to his son, John Bushrod II. John Bushrod II had two daughters, Hannah & Elizabeth. Hannah became his heir and inherited the Bushfield Plantation. By the time her father had died, Hannah had married John Augustine Washington (I), the brother of President George Washington. In his will, John Bushrod II divided his slaves between his two daughters, with Hannah getting the majority of the slaves. Her husband, John Augustine Washington became the overseer of Elizabeth's estate, including her slaves. It is from the "Bushfield" plantation slaves that all the African American Bushrods originated. Hannah retained her slaves under the "Bushrod" surname and kept them within the family by giving them to her children upon them "coming of age" and/or marrying. It is through the slaves she gave her daughter, Jane Washington (who married her cousin, William Augustine Washington), that we have traced the oldest known African American Bushrod... James Bushrod. James Bushrod was born, circa 1750. His family unit consisted of his wife, Cary, and four children, General, West (Wesley), Brooks, and Matilda. It is believed that James & Cary had more children, which were separated from them by the slavery system. It is believed that the Patriarch of the Kentucky group, John Bushrod, was a child of James & Cary who were sold or leased to a family member of another plantation. For whatever reason, John was separated from the Bushrods in Virginia. At this time, the only connection that we have of John Kiger Bushrod's connection to the other Bushrods of Virginia is that it is documented in the Indiana 1850 Census of Free Inhabitants that he was born in Virginia (circa 1775). John with his wife, Sarah (surname believed to be Kiger), and sons, Thomas Bushrod and John Kige (a.k.a. Kiger) Bushrod I, left Virginia in the early 1800's. They first lived in Kentucky, where their daughter, Charlotte, was born. They later moved to Indiana. All the Kentucky Bushrods are the descendants of the union of Millie & John Kiger Bushrod II, who was a prosperous farmer and owner of a coal mine in Hancock County, Kentucky. James Bushrod, Jr. is from the Westmoreland County, VA group. James's father, James Bushrod Sr., was the son of West (Westley) Bushrod, who was the son of James & Cary. 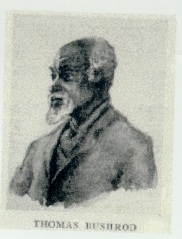 James Bushrod Sr. is the Patriarch for the Westmoreland Countbsp; Her husband, John Augustine Washington became the overseer of Elizabeth's estate, including her slaves. It is from the "Bushfield" plantation slaves that all the African American Bushrods originated. Hannah retained her slaves under the "Bushrod" surname and kept them within the family by giving them to her children upon them "coming of age" and/or marrying. It is through the slaves she gave her daughter, Jane Washington (who married her cousin, William Augustine Washington), that we have traced the oldest known African American Bushrod... James Bushrod. James Bushrod was born, circa 1750. His family unit consisted of his wife, Cary, and four children, General, West (Wesley), Brooks, and Matilda. It is believed that James & Cary had more children, which were separated from them by the slavery system. It is believed that the Patriarch of the Kentucky group, John Bushrod, was a child of James & Cary who were sold or y group. He also fought in the Civil War with the USCT. James Bushrod Jr. married Martha (L/N/U) and moved to Fredericksburg, VA and started another branch of the Bushrod family. His first cousin, another Wesley Bushrod, moved to the state of Maryland, to Baltimore, and started a Bushrod family branch in that state. Thomas John Bushrod was born in 1825. He is the Patriarch for the Fairfax County, VA group. He is the son of Sadrack and Easter Bushrod and the brother of Ben Bushrod. He married first, Fannie (L/N/U), second, Josephine Lomax. After the war in 1867, John brought a tract of land with a building on it near Pohick Church, Accotink and Telegraph road. In 1892 he was appointed sexton of Pohick Church, where the Washington's regularly worshipped. He had a yearly salary of twenty-eight dollars. In 1899, John was appointed the keeper of George Washington's tomb at Mount Vernon. 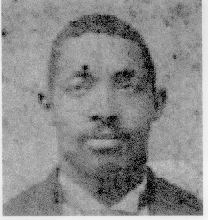 He died in December 1901 of pneumonia, and is buried at the Pohick chubsp; Her husband, John Augustine Washington became the overseer of Elizabeth's estate, including her slaves. It is from the "Bushfield" plantation slaves that all the African American Bushrods originated. Hannah retained her slaves under the "Bushrod" surname and kept them within the family by giving them to her children upon them "coming of age" and/or marrying. 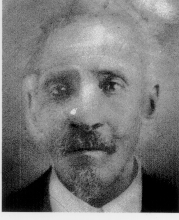 It is through the slaves she gave her daughter, Jane Washington (who married her cousin, William Augustine Washington), that we have traced the oldest known African American Bushrod... James Bushrod. James Bushrod was born, circa 1750. His family unit consisted of his wife, Cary, and four children, General, West (Wesley), Brooks, and Matilda. It is believed that James & Cary had more children, which were separated from them by the slavery system. It is believed that the Patriarch of the Kentucky group, John Bushrod, was a child of James & Cary.